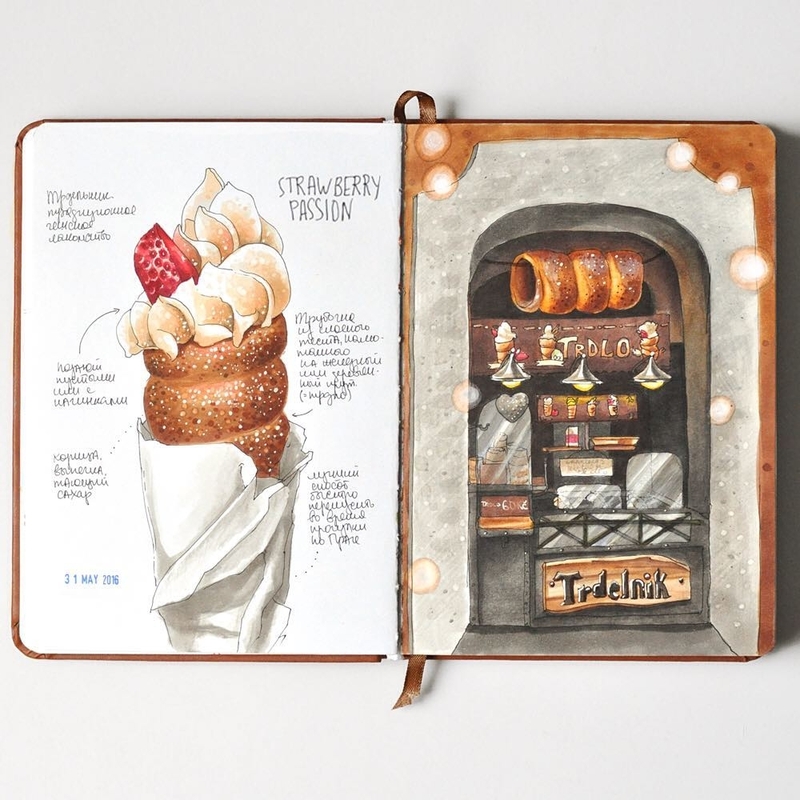 An artist that creates commercial drawings, ones for her own collection and she also teaches. 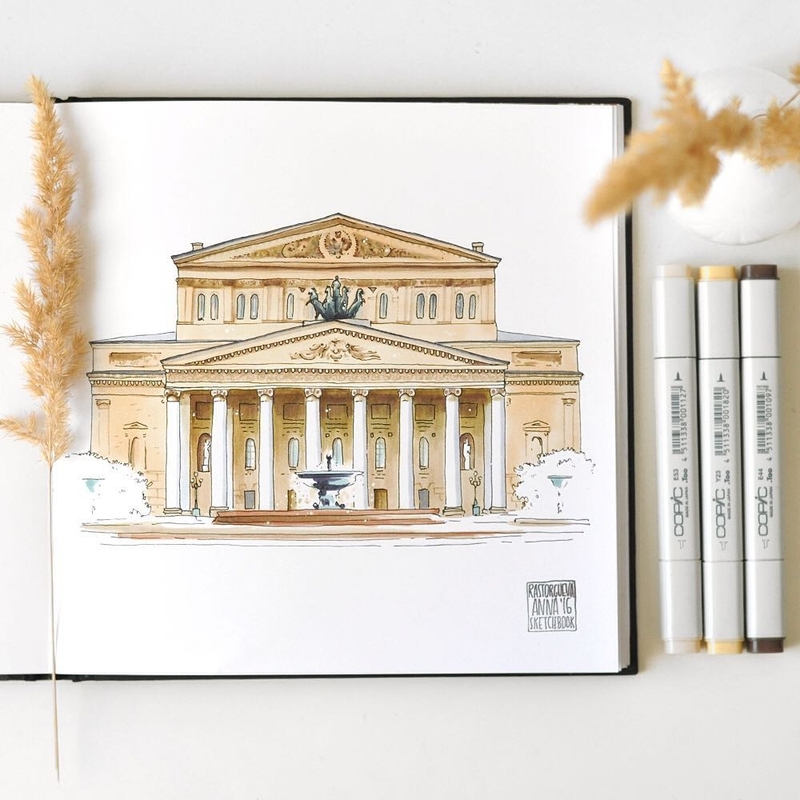 Anna Rastorgueva is a Russian Artist, that manly draws with pens and alcohol markers. 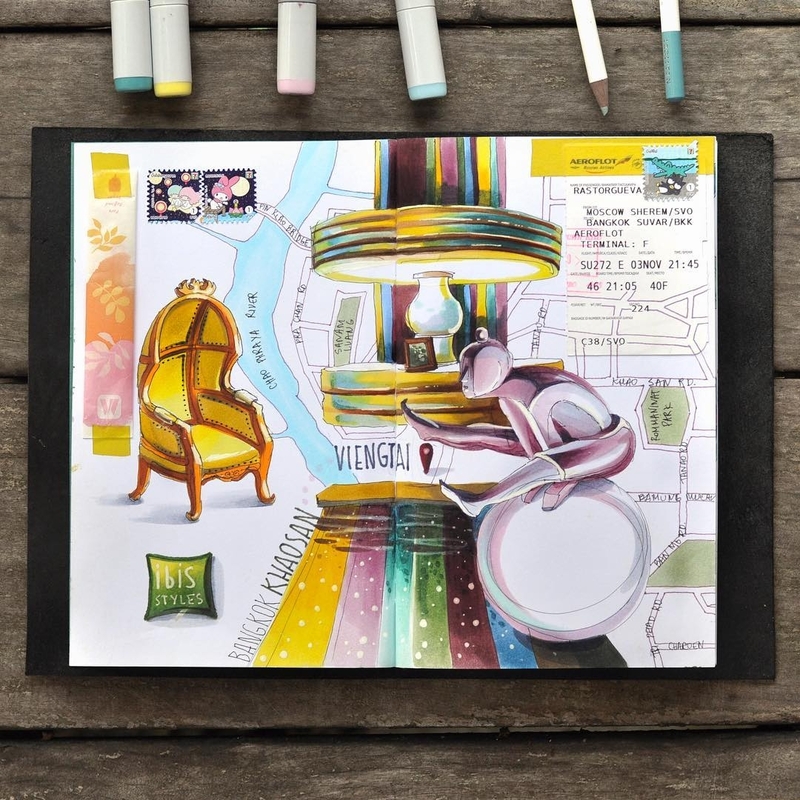 She also runs online classes to teach her students, how to best use markers pens and to get the most out of them, by blending for gradients and washouts. 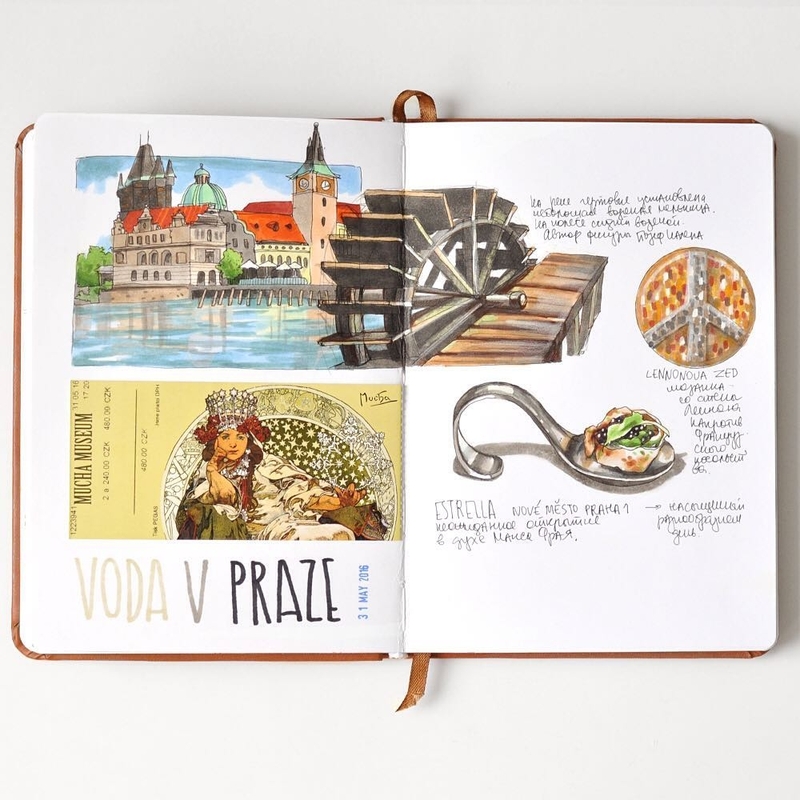 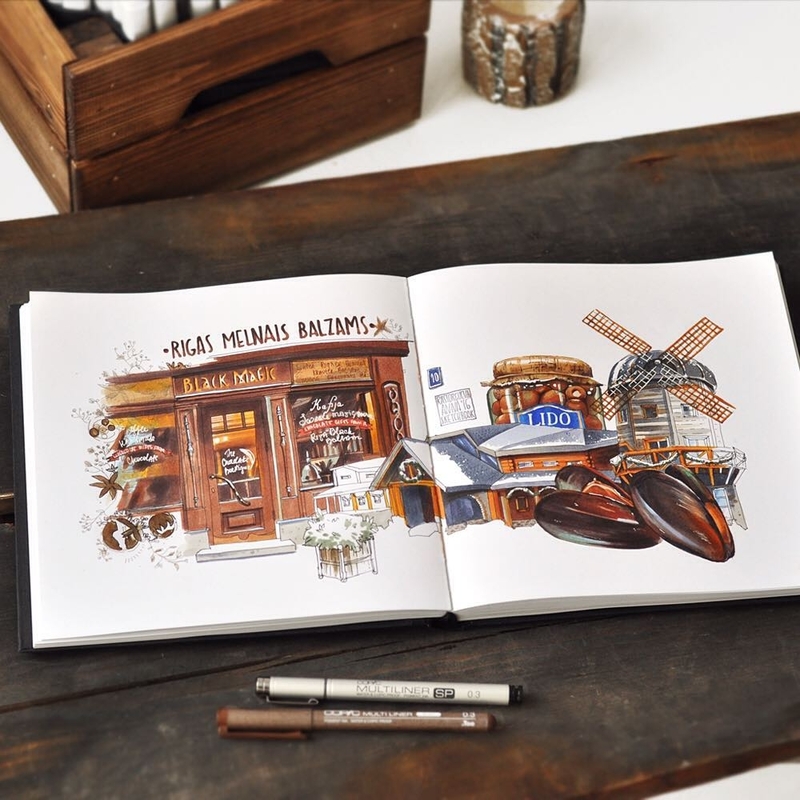 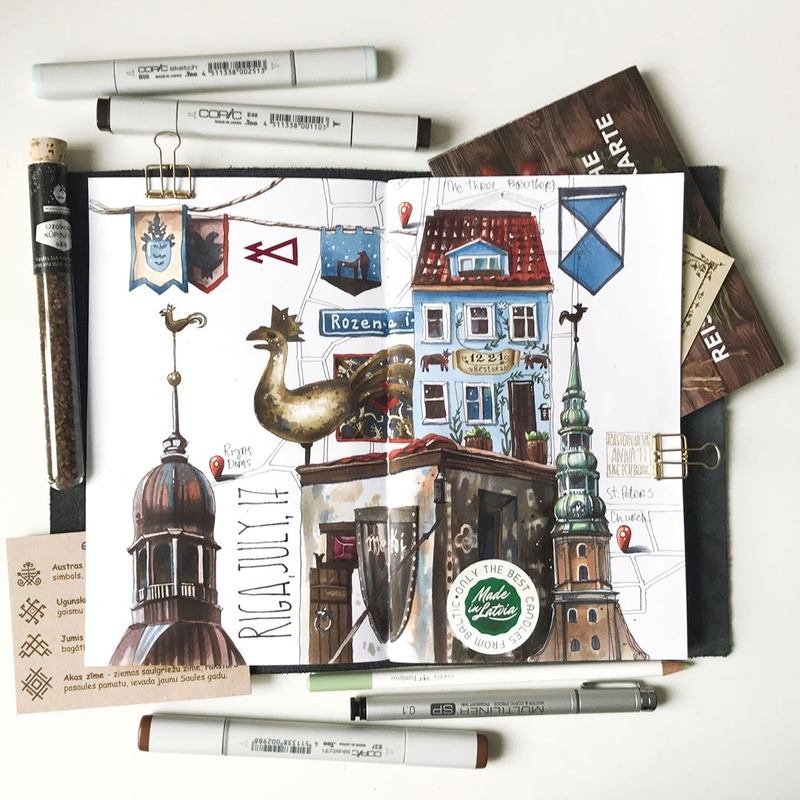 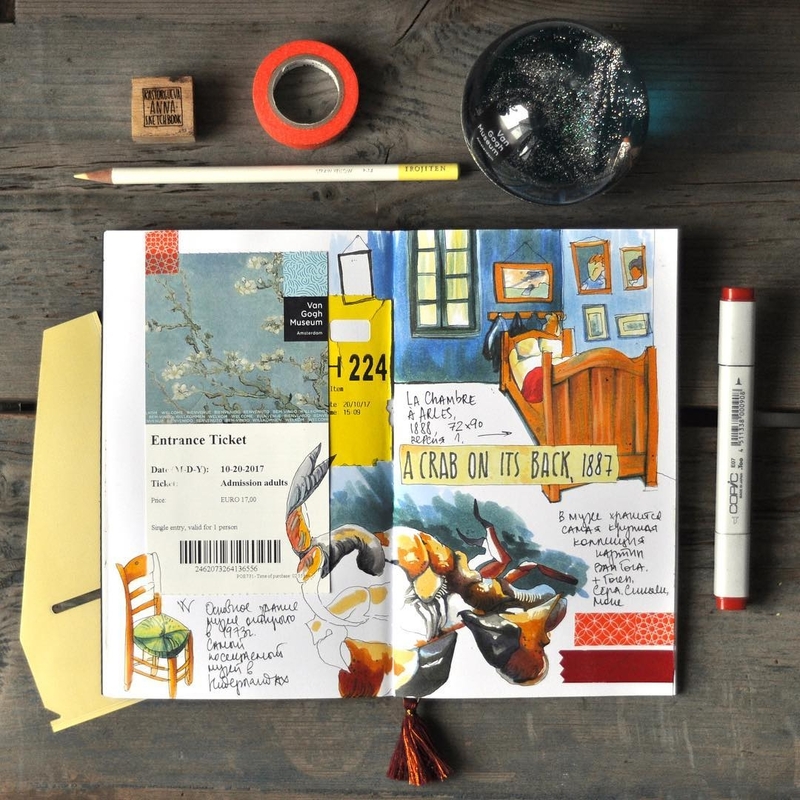 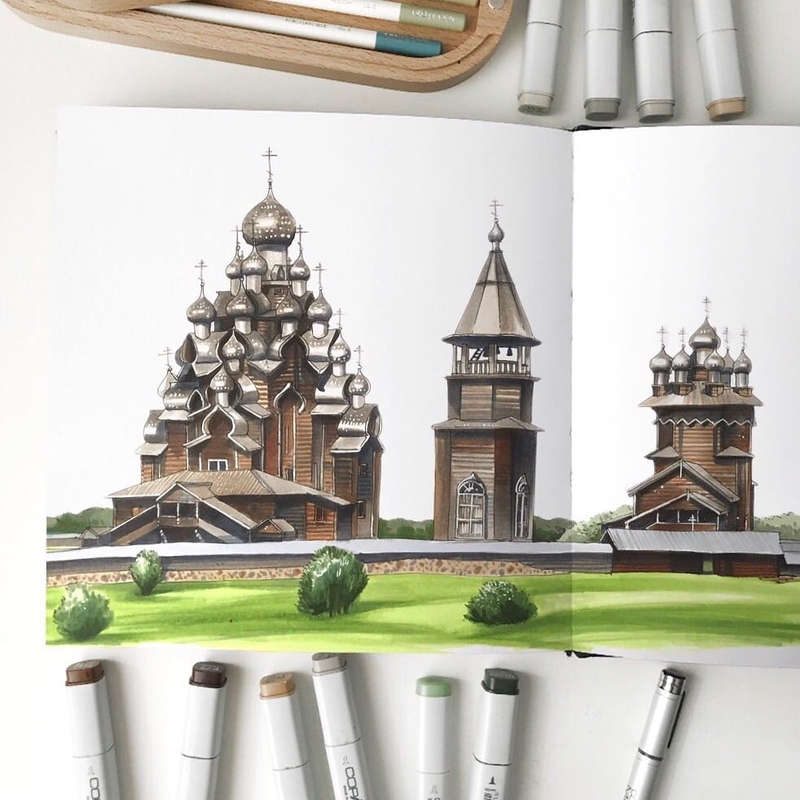 The drawings below include a variety of different styles, from urban sketches, travel journals, to interior design and speciality shops and sweets illustrations. 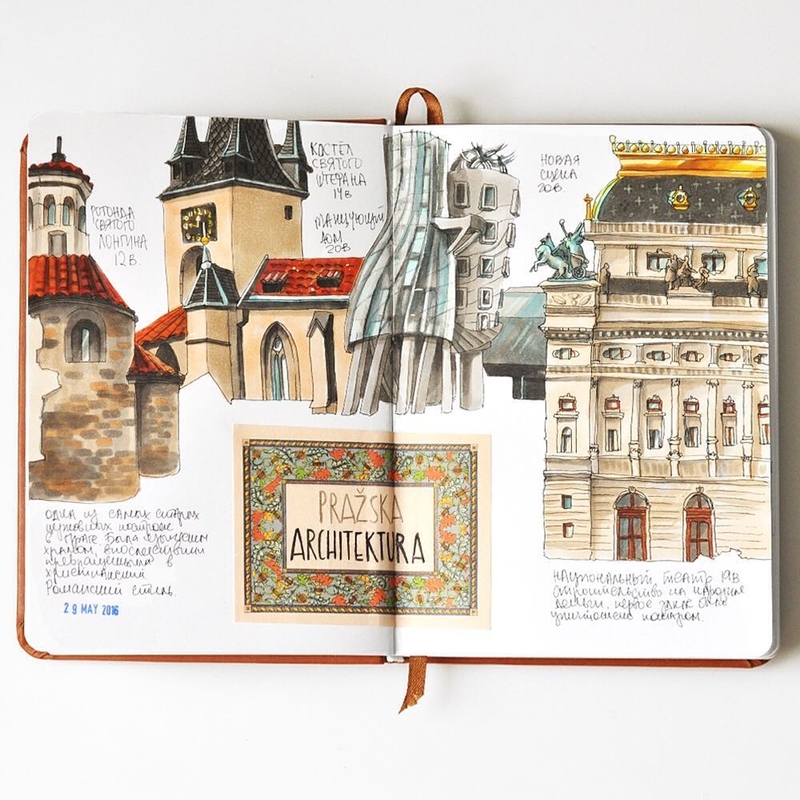 This type of drawing shows a beautiful way of documenting what you most like, beautiful surroundings and what you find unique and worth making a note of in your life. 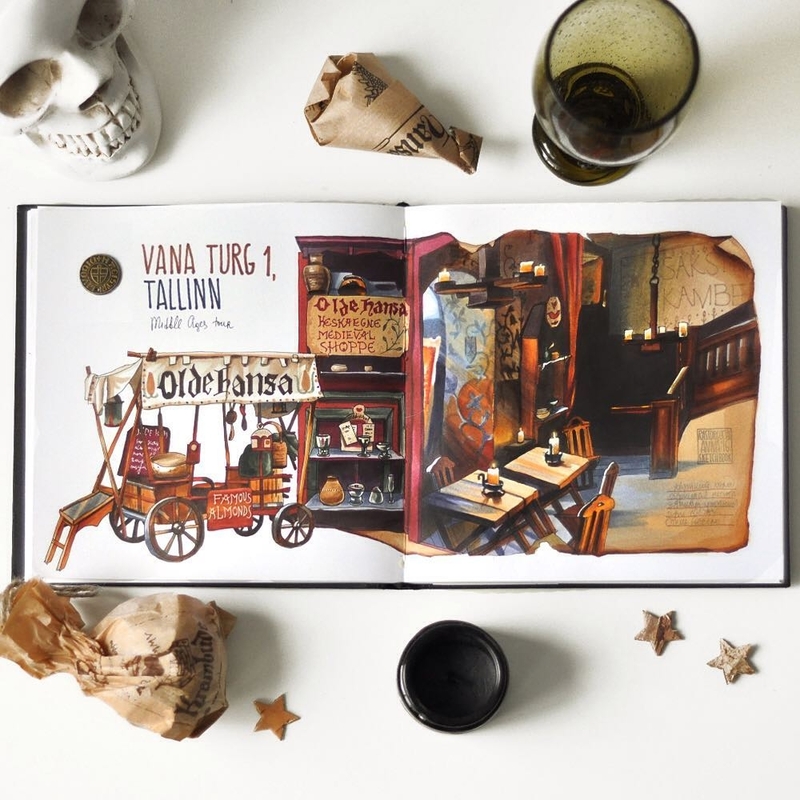 A Day in Medieval Tallinn. 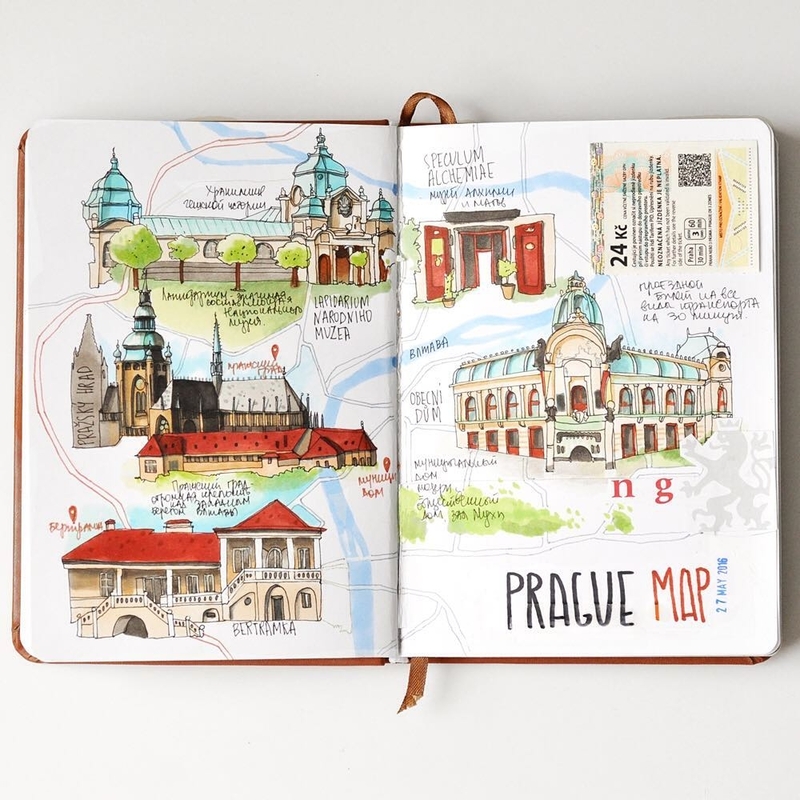 Prague Travel Book - The Map. 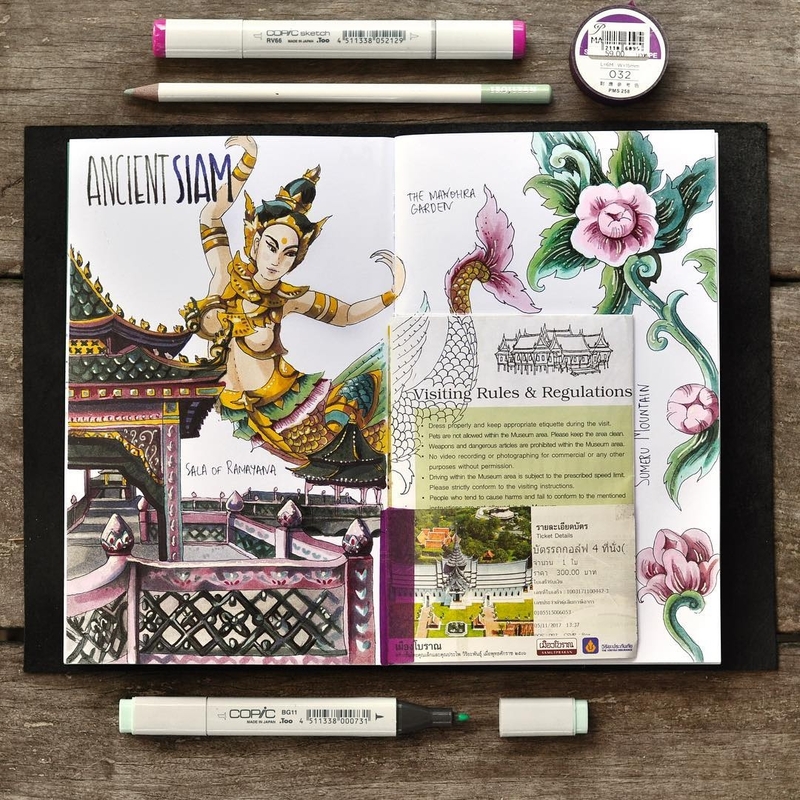 Ancient Siam, My Thai Travel Book. 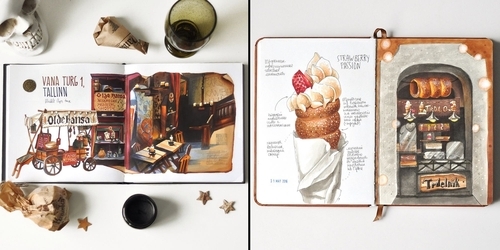 Black Magic Bar & Lido. 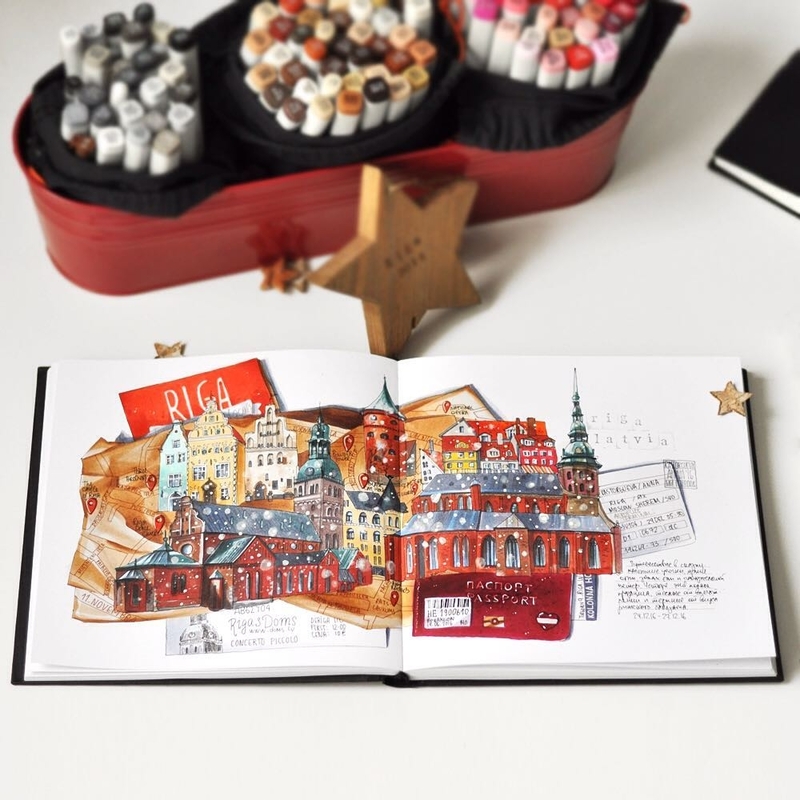 Winter Riga Trip - Travel Book.